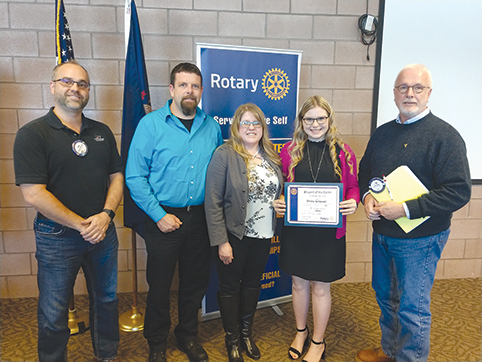 ROGERS CITY — The Salvation Army has appointed Cinda Grulke as its new Volunteer Service Unit Representative in Presque Isle County. In her position, Grulke will provide supportive assistance to people during crisis situations and identify other available community resources. Examples of services include utility, rent, transportation and emergency lodging assistance. Picture ID and verification of income are required for assistance. Grulke lives in Rogers City and can be reached on Tuesdays from 10 a.m. to 2 p.m., at 989-255-8589. Mark and Karen English, and Pastor J. Derek Riddle, of Peace Lutheran Church in Rogers City, will serve in a back-up capacity. The Presque Isle County Volunteer Service Unit is part of The Salvation Army Service Extension Department which provides emergency assistance in 17 eastern Michigan counties. The Salvation Army extension program is funded through donations, Christmas Kettles, estates and mail appeals. All funds received by The Salvation Army are used to benefit the county of origin.